In the construction world, having a versatile and flexible machine is very important to remain competitive and to earn more profits. 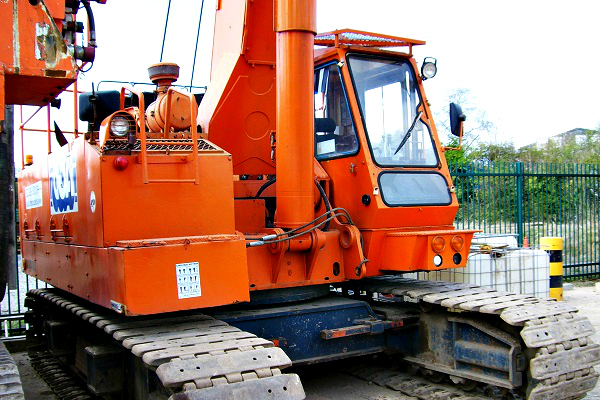 One machine that is described as highly efficient and versatile is the crawler crane. Available with either a lattice or telescopic boom, the crawler crane is capable to perform a variety of lifting tasks. In 1911, Bucyrus Company designed and developed the first gasoline powered crawler crane, called Type 14. This crane featured a 18.3-m long lattice boom, and its maximum lifting capacity was 47 tons. Type 14 was extensively used for a variety of construction projects. The crawler cranes manufactured after 1911 were designed with incredible lifting capacities and boom outreach, variety of engine options and were used for many lifting applications. Although highly efficient and powerful machines, the early crawler cranes were designed with poor ergonomics. Today, the crawler cranes are significantly improved and are described as easy-to-operate machines. As most crane types, the crawler crane is composed of a house, a telescopic or lattice boom, side frames, wire ropes, a “carbody”, sheaves and a hoist. The main difference (and advantage) is that the crawler crane doesn’t require outriggers for safe operation, because it can remain stable thanks to its wide tracks. The crawler cranes are self-propelled units, meaning that they can move around a job site easily by using their own superior tracks. However, the main issue of the crawler crane is the transportation. Since it is big and heavy machine, it is quite expensive and difficult to transport a crawler crane from one to another job site. Beside the transportation costs, the owning and operating costs are also huge, since the crawler crane requires an additional vehicle and a trailer for transportation. Furthermore, the crawler crane needs to be dismantled into smaller parts when needs to be transported, and then reassembled on the job site. Usually a second crane is required for the assembling process. In general, the crawler crane is a highly efficient lifting machine which allows the operators to complete a variety of lifting tasks quickly and efficiently. Whether lattice or telescopic boom crawler crane, this machine is a worthy investment that can guarantee increased productivity and higher profits.